This How to Run the Course Guide contains all the information you need to run the Discovering Christ course. The guide contains an overview of the 7-week course, the theological basis of Discovering Christ, a detailed walk-through of the schedule, directions on assembling a team, a to-do list for course administrators, talk abstracts and much more! Included throughout are the inspiring testimonies from real Discovering Christ participants. 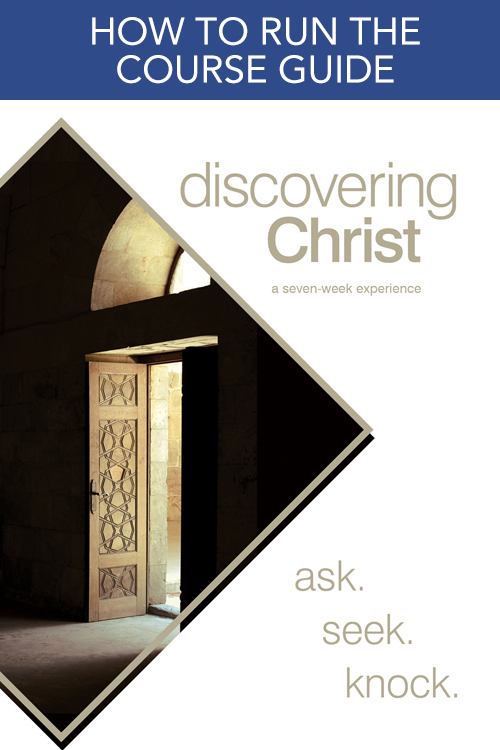 Section I: What is Discovering Christ? Read a sample of the Guide.